Comfort to Courage. Have the life you deserve! Welcome to Comfort to Courage – the website devoted to helping people change. Comfort to Courage is here to help you create the life you want! Nearly everyone has things in their lives they want to change. Perhaps you have a dream you want to achieve – make more money, become your own boss, lose weight, get fit, have better relationships… Or perhaps change happens to you – you lose your job, your significant other leaves you, you or someone in your life gets ill… Creating or experiencing change in your life always involves moving from a place where you are comfortable with the rules and decisions to a place where you aren’t. It’s about moving from your Comfort Zone to your Courage Zone! Comfort to Courage is here to help you understand the process of change, how to cope with it and move through change with greater ease! 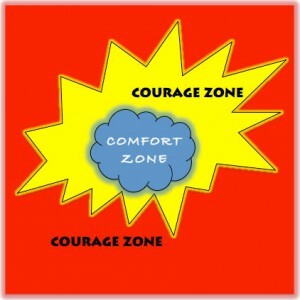 Comfort to Courage – general articles and blogs related to moving from your comfort zone to your courage zone. Mind – articles and blogs related to changing your thought processes, mood and anything related to your mind. Body – articles and blogs related to changing things about your body: weight, fitness, overall health, etc. Soul – articles and blogs related to changing things about our “soul”: the spiritual and moral parts of yourself. Relationships – articles and blogs related to change in the relationships in your life! Reviews – articles and posts about products, books and websites that are related to change. My Blog – posts related to my personal thoughts and progress through change! You can also find articles and information related to more specific topics by searching the site (upper right hand corner of each page) or clicking on a category at the bottom of the page. Hey there WA affiliate Sister! Hey back to you, John! WA is fantastic!